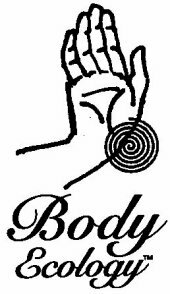 Gail Axelrod Reiki Master.Usui Reiki Ryoho has been student and practitioner of alternative healing for 0ver 30 years. Gail specializes in empowerment on the most personal of levels allowing other to develop while using their own inner healing power to create what they want in life and help them move beyond their limitation into their own true potential allowing them to take back their personal power and move forward. While I continue to offer online coaching and training, I now have a delightful brick & mortar where I see people in-person as well! I share space with my best friend of 35 years – Mary Jane Brower heads up the Aromatherapy Workspace & Boutique and I join her in my Studio. I host a lovely place full of vintage florals and aromatherapy accessories, plus essential oils, natural perfumes and attars. We have facial creams and scrubs, lotions and potions, all ready for use or ready to be enhanced with pure essential oils of your choice. We have green cleaning products and personal care products all in an effort to promote nontoxic living. And there is “us”- a team of two, always happy to engage with you about any questions you might have. In the studio I meet with people individually for wellness consultations. My consultations are practical, drawing from years of experience as a psychotherapist. Now turned wellness coach, aromatherapist and energy healer I also offer chakra balancing and intuitive readings. I love to tap into the powerful vibration of essential oils and for those who are willing, adding a bit of experiential writing to the consultation can be extremely curative. Healing can often be found in the written word. The initial 45 minute in-person consultation is always offered at no charge. I offer online intuitive readings as well. We also facilitate workshops at the Studio- free workshops, advanced workshops and professional workshops too! Our workshops represent the practical and the mystical. The studio is more than the items we sell and the services we provide. Being “in” our space brings sol ace for many, even if briefly as they dip inside on a hot summer’s day. We aren’t fancy or trendy. We ARE mindful and intentional. There is a purposeful energy that flows through and most who enter are drawn in and return. 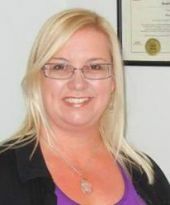 Bonnie Adam is a Registered Acupuncturist, a Certified Cupping Therapist, a Registered Reiki Teacher and a Registered Karuna Reiki Master in Guelph, Ontario, Canada. She provides services and teaches classes in Reiki, cupping therapy, and facial cupping therapy, and she has online courses and self-help products for sale on her website. Seminars and 1-1 coaching on increasing awareness and renegotiating goals. Specialized attunements for energy work practitioners. Antojai, Reiki, Chakra, and Shaman Healing. Over 20 years of experience from all over the world. Antojai Shamanic Wellness! Remote energy healing, meditation guidance, online group meditation, spiritual counseling, and certification courses available.